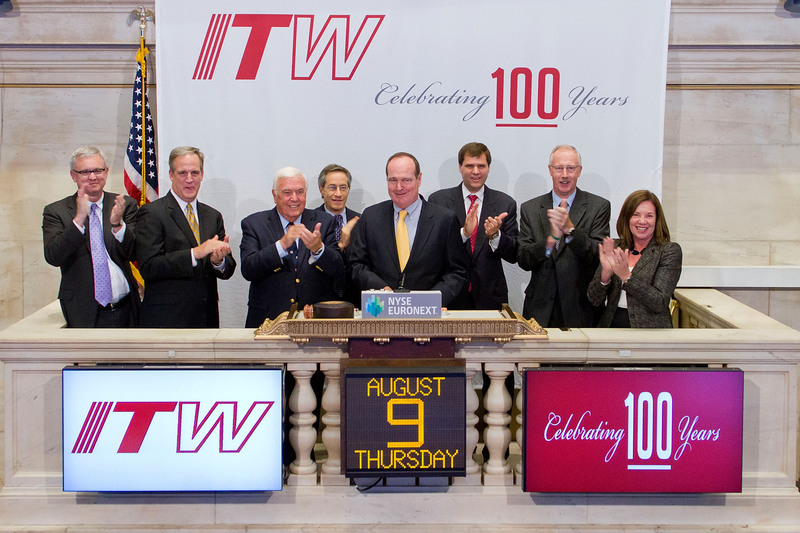 Continuing the celebration of ITW’s 100-year anniversary, on August 9, ITW had the honor of ringing the closing bell at the New York Stock Exchange. This was tremendous honor for the company as David B. Speer, chairman and CEO, joined Harold B. Smith, Jr., great-grandson of the company’s founder as well as other company executives at the closing bell ringing. For more information about this special event, or to view the live webcast of the closing bell, please visit: http://www.nyse.com/events/1344416390769.html.